Big Sur and Straßenbräu are partnering up to bring you Tacos al Pastor – an iconic status in Mexican cuisine. Tacos al Pastor: Tacos with pork marinated in annatto and chili, traditionally roasted in trompo. In addition, there are corn tortillas from Berlin, with onions, coriander, spicy pineapple sauce and lemon.There is also a vegetarian version with mushrooms. Grigas: Two wheat tortillas, put together and then stuffed with cheese, meat, onions, cilantro, spicy pineapple sauce and lemon. Again, there is a vegetarian version. 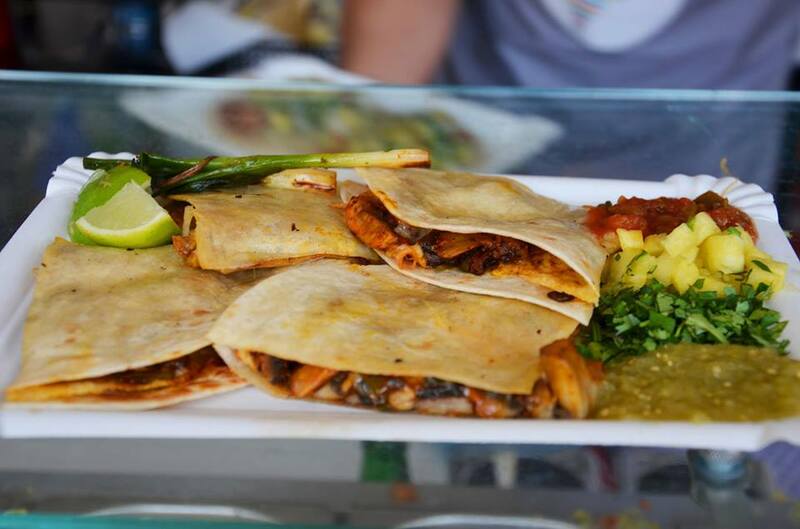 Quecas (kekas): Two corn tortillas or a wheat tortilla stuffed with melted cheese, onions, cilantro, spicy pineapple sauce and lemon.